TMRG is an organization dedicated to managing a leading market research community comprised of millions of Internet and mobile consumers from around the globe. The data generated from this community is used to help companies understand trends and patterns online and on the mobile Internet. Just as the television industry uses rating services to determine which are the most watched programs — and to affect the programs and advertisements that are shown — the Internet community relies on services like TMRG to understand the likes and dislikes of Internet users and hence make informed business decisions. 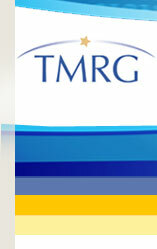 Learn more about TMRG.